Unleash the Banshee this year with the new Group 34M deep-cycle marine battery with dual terminals. 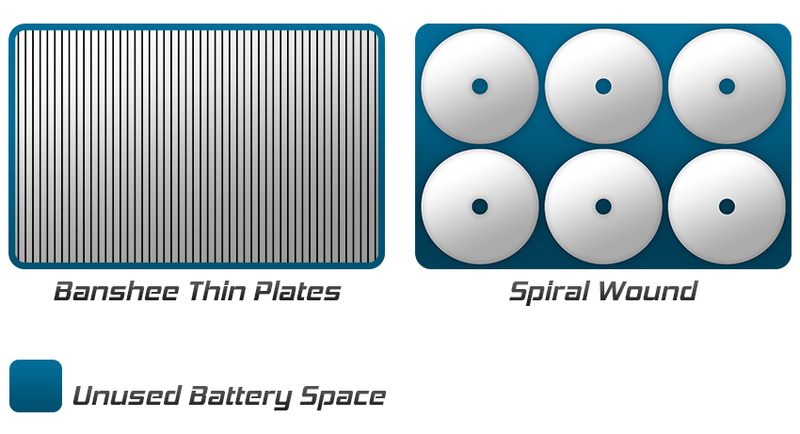 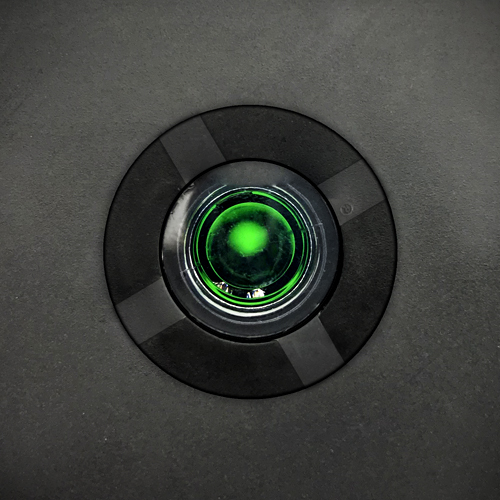 Banshee batteries are designed to withstand rigorous deep charges as well as long slow recharges. 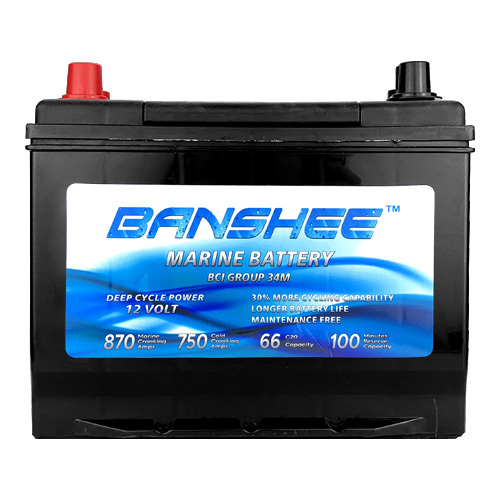 The Banshee marine deep-cycle battery is a direct replacement for Optima D34M batteries and guarantees excellent recharge capabilities for long lasting performance. 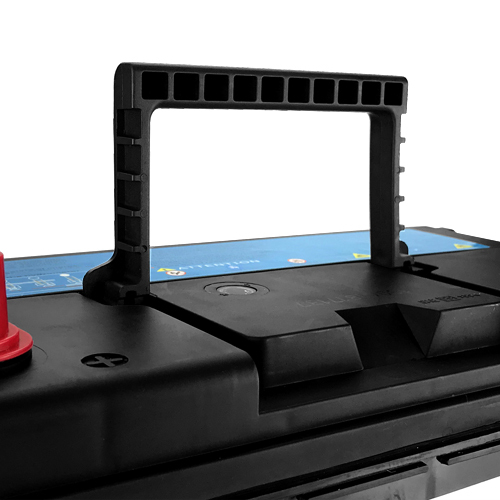 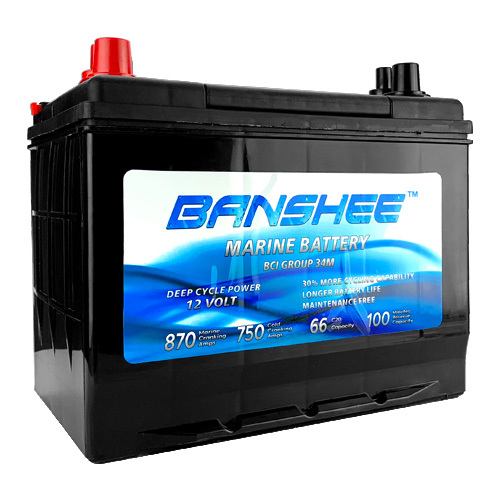 Banshee marine batteries are produced and manufactured using only the most up to date materials. 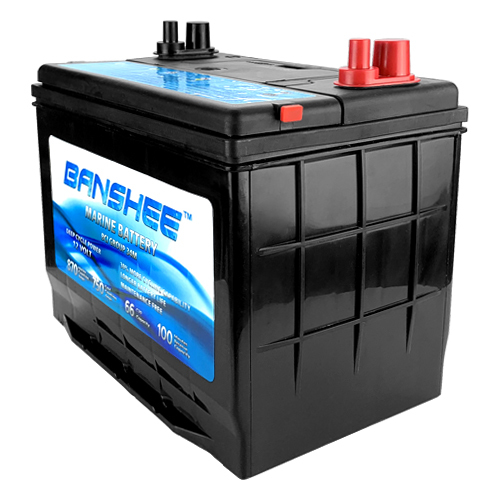 All Banshee group 34 batteries have a built in Hydrometer which easily tells the current state of your battery life. 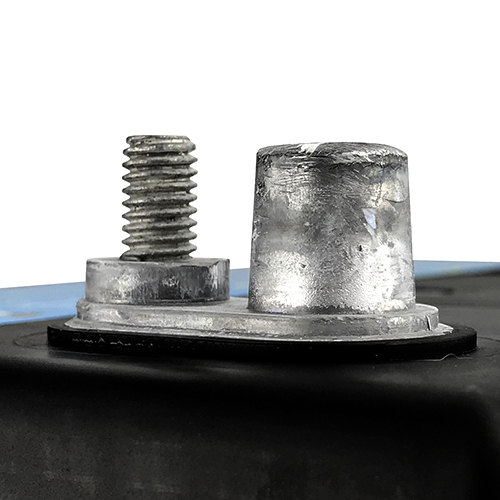 Our group 34 marine battery is rugged, powerful, resilient, and should be the only battery you rely on for cranking, igniting, and lighting.